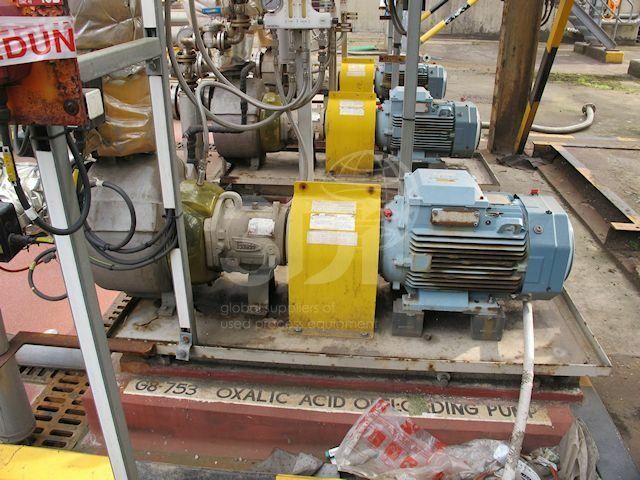 Used 60m3/hr Centrifugal Pump, manufactured by Durco (Flowserve), 2007. Model 2K4x3US-10HRV M3. Serial no. 557348-004-01. 17.50m head. AES Double mechanical seal. Complete with a 11kw ABB Electric Motor (1470rpm).